In January 2016, I committed to take my dog – Maya – on a really long walk and I committed to use the walk to raise money and awareness for more investment into the medical conditions: Myalgic Encephalitis, Chronic Fatigue Syndrome and FibroMyalgia. My best friend and my daughter both suffer from forms of these conditions and they are poorly understood, poorly diagnosed and treated. There are no cures currently for these conditions. In May 2016, I started and completed my 255km walk in Northern Spain – from San Sebastian in the Basque Country to Santander in Cantabria. This is part of the ancient pilgrim route to Santiago de Compostela – the fabled resting place of Saint James. Each day of my walk was dedicated to the story of a sufferer of these conditions. Whether you walk it alone, or you trek with a group – a great walk helps you connect with people, nature and yourself. And in this connection there is so much learning. I don’t know whether it is science or spiritual or simply what happens when you give yourself the time and space to be heard. Going into this walk, I had a bunch of things to figure out – primarily I wanted time and space to reconnect with myself. I did reconnect with myself – reaffirming what makes me, me and what my focus in life is, who and what are important and more importantly, who and what aren’t. Unexpectedly I also reconnected with parts of humanity that I had silently drifted from and didn’t realise I needed to rediscover and I’m so glad I did. I learned so many things about myself and people and life on this walk and wrestled with demons that I hadn’t previously made time to resolve. They say that in the woods, no one can hear you scream. There are lots of woods in the North of Spain and I had many opportunities to scream at my demons and them at me. Then there are the lessons that necessity teaches. I consider myself to be a very practical dog owner. There is a power relationship in play between man and dog and whilst I know all the blah blah about trust and loyalty, I hadn’t fully experienced it with any other dog I’ve had, until this walk. I know that Maya considers me her pack leader – who will ultimate protect her from any threat and provide for her. As far as I know, Maya can’t read a map nor calculate the distance between places on a route. She doesn’t know to plan for a 30km walk with multiple ascents and descents. This beautiful dog walked with me every step of the way and stayed by my side in the rain and through the mud. Through forests and towns and hard tarmac roads that must have been tough on her paws. She braved her fears – unfriendly dogs that barked terrifyingly at her approach – and she spread her joy by making friends with every person we met. Whether it was 10km or 30, Maya just walked with me – trusting that I knew where we were going and seeking nothing but having a pine cone thrown in play every now and then. “Here’s some vaseline – put it anywhere that starts to catch or heat up or rub” – the wisest words a newbie long distance walker will ever hear. My friend Amancio said these to me when we first met and kindly offered me his own tube as a gift. Long walks put huge strain on your feet, things rub, skin gets bruised and blisters form. All these on their own are bad enough – but when you have to walk every day, suddenly things get rather more complicated. In comes Vaseline. Every morning of my walk started with a smattering of vaseline on my clean feet – not too much, just enough to rub into my feet and create a protective shield. This shield almost entirely eliminates the friction that causes blisters. Then when the straps of my 9.5kg backpack started rubbing into my shoulder and my neck – Vaseline again to the rescue. Stop and fix problems when they occur. Lesson learned. On a walk and in life, there are things you must keep doing to move forward. In life, it seems like there are a multitude of things you need to maintain. You have to look after your health, eat well and exercise for example. Some say you have to keep learning, others say you need to keep an active social life. On a walk, life is much simpler. The only thing you need to do to make progress is maintain your ability to put one foot in front of the other and walk. I learned that I needed to address any problem that affected that ability as soon as I felt them. For example – I had new walking boots and the inevitable pains of breaking them in all started to emerge from about the second day of the walk. First I got shooting pains in the sole of my left foot – but I ignored them, put a brave face on and kept walking. Then they got worse, the pain spread to the back of my left knee. Had I stopped and stretched, applied some balm – as I did on subsequent days (with fewer painful consequences) – I’m sure those first 2-3 days would have been a less injury prone experience. The cost of stopping and fixing the problem is much lower than the price of being laid out for a day or two. So now I’m working on understanding what essential things I need in order to move forward joyfully in life and I’m learning to spot problems that will affect them. Something about living out of a backpack for 10 days is exceptionally liberating. I packed 4 dry wick tech shirts – they are extremely light and quick drying- 2 trousers that could convert to shorts and a few other items of clothing. But I realised actually I could have packed even half of those items and still been fine. I was without my laptop, a TV – though I had my phone, I used it almost entirely for taking pictures and keeping in touch with my family via Whatsapp. Aside from the physical things I didn’t have – I also had much less responsibility. Basically it was to find food for myself and Maya. Yet the walk was truly one of the happiest 2 weeks of my life. I think as material things go – I’ve never been a hankerer for things – so not much improvement there. This walk has taught me to think about the responsibilities that I take on that I might not need to be happy, it also taught me that there are some things that I had closed myself to – that I now recognise make me feel happy – which I really need to try and get more of. I never tend to do things because I seek gratitude in return or even an acknowledgement by anyone who might benefit from my doing them. I do things mostly because I want to do them or I see they need to be done. Yet I was completely unprepared for the effect of reading some of the short messages of gratitude and appreciation on Facebook and on my JustGiving page. Hundreds of messages of gratitude for walking for others. I blubbed almost every time I read. I was joined at the start of my camino by my friends Helen and Horacio. We had such a wonderful time for the 3 days we were together. We laughed so hard, there were never any awkward silences. There were times we walked in step and other times when each walked their own pace. It was easy. Yet as much as we enjoyed walking the same route, we each were walking our own camino -both as a physical journey through each person’s limits and challenges and through each person’s mental baggage they needed to work through. And this was the same for each person I met on the walk. Appreciating that we are not all walking for the same reasons or to the same schedule almost entirely eliminates judgement. There is no right way to walk nor a right way to start or a good time to complete a stage in. As I apply this learning to life – I feel totally filled with empathy for the journey each person is on – even if they don’t realise they are on a distinct one from everyone else. There were a few times on this walk when I needed help. Especially when things got a little complicated with accommodation with Maya or finding food for her on days when things were closed or in places where nothing was open. The warmth and the kindness of people who didn’t know me from Adam – people who could easily have said ‘No’ instead of ‘Yes’ – simply blows me away. It turns out that over the last few years I have not needed the kindness of strangers – most of my endeavours have been very much in my control. Yet on this camino, I put myself in situations where I needed that help and there it was. From Kepa who happily let Maya sleep in his courtyard – to Manolo in Pobeña who offered to drive me to the next town to buy dog food – I’m convinced these are the people who neutralise all the cynicism in the world by their small acts of random kindness. However much you love your dog – and I love mine a whole lot (and a whole lot more after this Camino), there are lines to be drawn. One such line is never again sharing a small tent with Maya. Aside from the paws digging into my side and the tail tickling my nose, the most unbearable thing were the farts. Maya is lethal with her farts- though I think I gave as good as I got – and this is made more toxic because of the size of the tent. So if there is one piece of advice I can share – that I learned the hard way – it is never to share your small tent with a big dog. Now, remember I went to walk. But I did manage to take some pictures too. 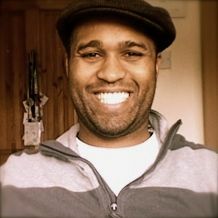 I’ll add more of my photos as well as some from Helen, Horacio and James when they share them. I’m deeply grateful to so many people for the support and concern during this camino. Huge thanks to my wife – Katharine – for making it possible for me to even have the time to be away from home for 12 days. Thanks to these 58 amazing people who backed my JustGiving campaign. We exceeded the target and this money will make a difference to the lives of so many people suffering with ME/CFS/FM. We need research into these conditions and whilst £3000 may not sound like a lot for research, it will fund the activism and advocacy that is critical to agitate for more investment. As my friend and Camino consultant – Amancio – says “You’re hooked on the Camino”. 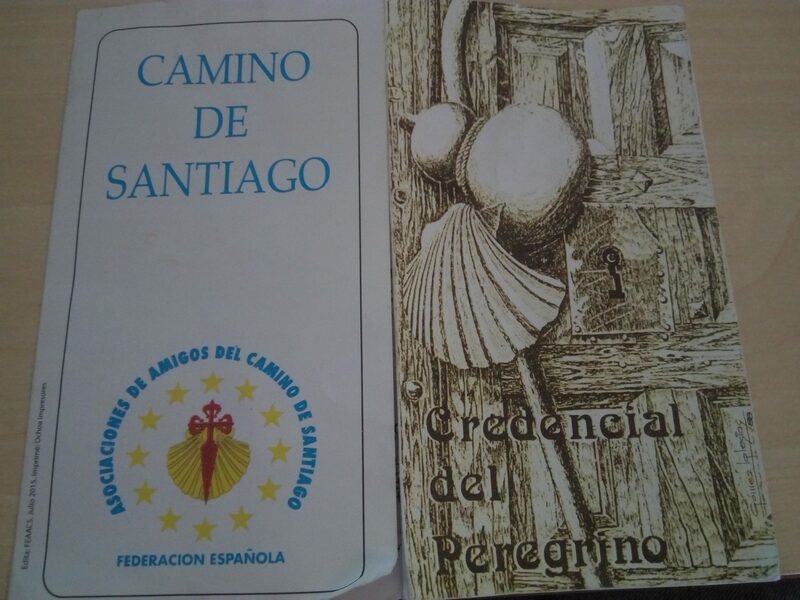 I am pretty hooked now on the idea of the camino as a quest, a time to reconnect and as a physical and mental challenge. So now what? Well, in September/October, Maya and I will be walking for 25 days to complete the remainder of the Camino del Norte from Santander to Santiago. About 600 km. It will be a more informed adventure and, for sure, a lighter packed one. I’ll post more about it and I know now that I will continue to raise money and awareness for ME/CFS/FM and also to raise awareness and funds for MOAS – the Migrant Offshore Aid Station – who are doing an incredible job saving lives in the Mediterranean Sea by rescuing migrants from capsized boats. If you would like to join me for part of this longer walk – stay tuned to my blog for news of the plan and the schedule.